This is a picture frame that is shaped like a flip flop with turtles swimming all around. The photo size is approximately 2 x 1 1/2. The size of the frame is approximately 5 x 3. So get out your favorite photos and show them to your friends. This is a double picture frame that is shaped like a flip flop with turtles swimming all around. The photo size is approximately 2 x 3 inches. The size of the frame is approximately 5 x 5 inches. So get out your favorite photos and show them to your friends. This turtle-rectangle shaped picture frame is a favorite in our store. The photo size is approximately 4 x 6 inches. The size of the frame is approximately 7 inches. So get out your favorite photos and show them to your friends. This double turtle-shaped picture frame is a favorite in our store. The photo size is approximately 2 inches x 2 inches, the size of the frame is approximately 7 inches x 5 inches. So get out your favorite photos and show them to your friends. 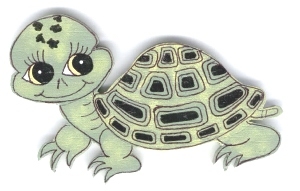 This single turtle-shaped picture frame is a favorite in our store. The photo size is approximately 2.5 x 3.5 inches. The overall size of the frame is approximately 5.5 x 4.5 inches. So get out your favorite photos and show them to your friends. This turtle rectangle shaped picture frame is a favorite in our store. The photo size is approximately 4 x 6 inches. The size of the frame is approximately 7 x 5 inches. So get out your favorite photos and show them to your friends. This metal picture frame will hold a 4" by 6" photo. The overall size of this frame is 8 inches wide by 8 1/2 inches high by 1 inch thick. Sea Turtle. This frame will hold a single 4 x 6 picture. Unique gift or beach nautical ocean decor. The frame itself is 7 1/2" X 5 1/2". This picture frame will hold a 4" by 6" photo. The overall size of this frame is 7 1/2 inches wide by 6 inches high by 2 inches thick. This wood picture frame will hold a 4" by 6" photo. The overall size of this frame is 7 1/2 inches wide by 10 inches high by 2 inches thick. I am sure there is a lot of "Crabby" People that you have pictures of to put in this frame!! Sea Turtle. This frame will hold a single 4 x 6 picture either vertical or horizontal. Unique gift or beach nautical ocean decor. The frame itself is 7 1/2" X 9 1/2".